Oranges are fun. Living in Fresno we get the advantage of access to so many different varieties of citrus it’s kind of mind boggling. Well, maybe not to us, but trust me, we have a few out-of-state-ers in our office who were seriously impressed by the vast amount of citrus we have available to us. Entire conversations have taken place with genuine excitement about how great our local citrus is. But what do you do with them beyond wedges and OJ? I grabbed some tangerines and navel oranges from Diaz Farms at The Market on Kern to challenge myself to try oranges in a new way. Then, life got in the way, like it does. I say that like I’m complaining that I get to go enjoy a whole other type of orange this weekend at a San Francisco Giants game and won’t have enough time to test-kitchen some recipes. I’m so heartbroken, waaaaaah. Of course, short on time or not, I did buy a lot of yummy citrus and it did need to be consumed. So I present to you the Teetotaler’s Mimosa. This is actually one of my favorite things when I want to feel fancy but don’t feel like having a mixed drink. Pour the juice in a glass. 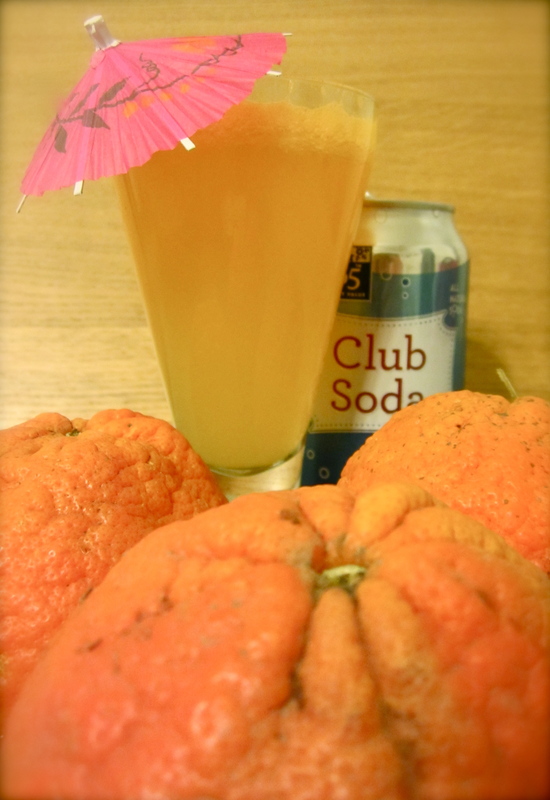 Pour the club soda in that same glass. Add an umbrella. Done. Now you look fancy and you can still drive home. You’re welcome. We’ve been downing this all night. Here are the recipes I meant to try. 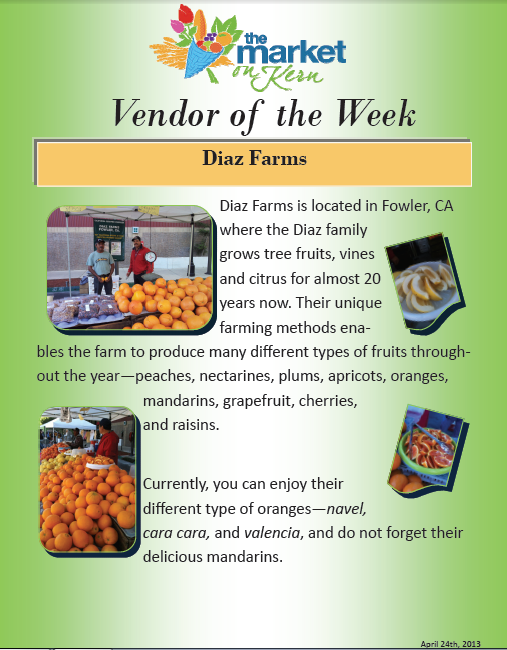 Stop by the Diaz Farms table at The Market on Kern and give them a whirl. Then tell me how lame I am for not making them first.